The Body Solid Best Fitness BFPR100 Power Rack blends quality and value together in one of the most popular machines for strength training. 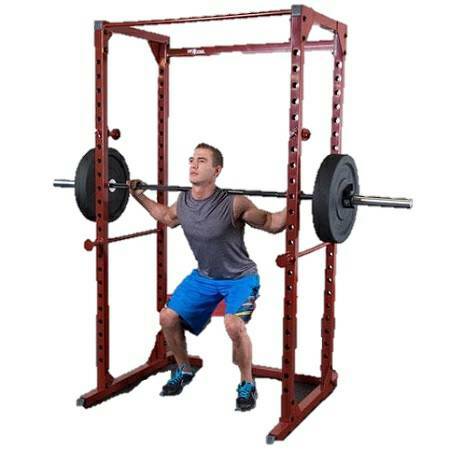 Power racks are easy to use and provide a high level of safety to free weight lifters. 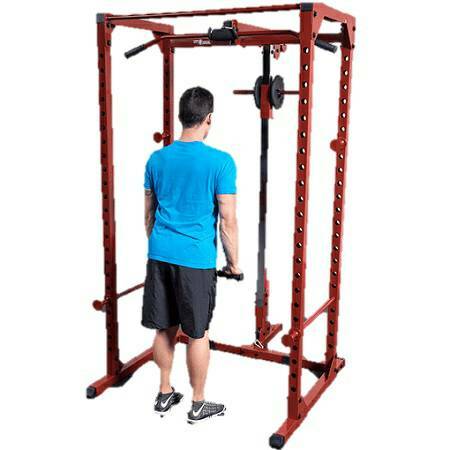 The BFPR100 is affordable and perfect for anyone wanting a fully functional rack. But don't be fooled by the price, the BFPR100 is made from heavy 14 gauge steel and will handle weights to 500 lbs. Use the chin bar for pull up. 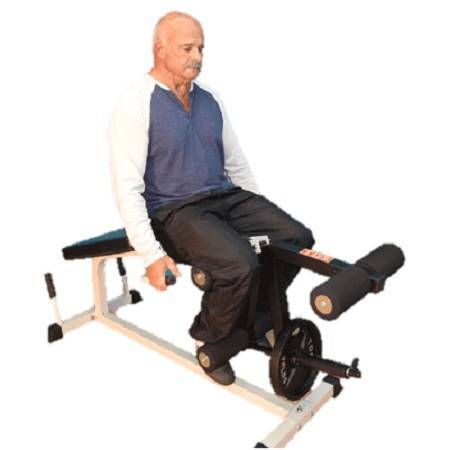 23 adjustment positions for your lift offs and safeties ensure a proper starting position for a multitude of exercises. Dimensions: L= 45" W= 47" HT= 83"